Every Friday afternoon, the principal at Harriet Bishop Elementary School in Rochester delivers what sounds like an ordinary announcement over the school's speakers. But it's really a secret message. "Thank you boys and girls for a great week," Jacque Peterson tells students. "We hope you have a safe walk home and a wonderful weekend." Those last two words are a cue for 25 children to make their way to a room where blue backpacks hang on the wall. They grab one of the packs to take home with them for the weekend. The backpacks are full of bread, granola bars, chicken noodle soup and other food. In scattered areas throughout the state, schools are sending low-income students home with backpacks full of food for the weekend. The programs address a problem that many don't know about: Some kids, especially those who rely on school lunch programs during the week, have a hard time finding enough to eat when they're away from school. 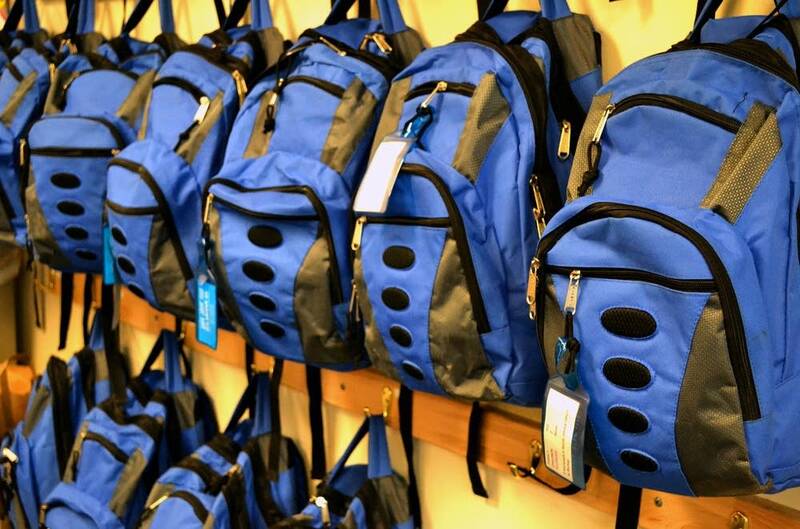 At Harriet Bishop Elementary, Peterson worries the children who receive the backpacks will feel singled out. The school, which is in a middle-class area, is not where one would expect to find hungry kids. She tells the kids that if they feel funny about getting the backpacks, they can just say they're working on a project with the principal. "Regardless of the way things look here when you walk in, there are definitely a number of families in need," Peterson said. Pastors at the nearby Autumn Ridge Church saw that need, and last spring stepped up to start the backpack program at Harriet Bishop and a neighboring school, Bamber Valley Elementary. Similar programs are underway in many parts of Minnesota, with most of them working with Feeding America food banks. There are 16 in the Grand Rapids area, some near Crookston and in Moorhead. Some are supported by nonprofits or small churches. At Bamber Valley Elementary, reading specialist Lori Eckert can spot hungry children on Monday mornings. They're the ones who display "sort of that sluggishness" or aren't able to sit up in their chairs, she said. "Sometimes they aren't able to control what they're doing," Eckert said. "And a lot of times kids will just tell you, 'I'm hungry, I didn't get enough to eat over the weekend, we didn't have food, my parents couldn't go to the store.'" 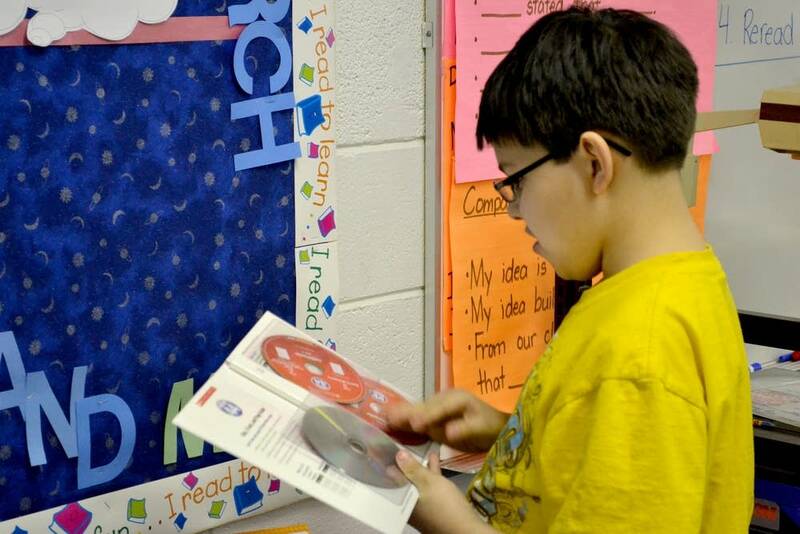 Two of Eckert's fifth graders, boys named Hector and Isaac, are in the backpack program. "The best part of the backpack program is the fruit," Hector said. "It makes you healthy. [You] get more energy to run and walk outside." Issac admits to eating the junk food first. "Then the healthy snacks," he said. "But there's one thing I don't like about it, the bagels. I don't like bagels." Bamber Elementary principal Becky Gerdes said she's seen a change in both boys since the backpack program started. They are more alert and focused, she said. The program also has improved attendance at the two schools, as children who receive the backpacks are almost never absent on Fridays. Research shows students who are not hungry learn more, receive higher math scores and are less likely to repeat a grade. In some ways, these Rochester students are lucky. Because the two schools are not overwhelmed with students who don't have enough food, they can help many of those in need. About 30 percent of the students at each school qualify for free or reduced-price lunch. But what happens at schools with far more hungry students? The Target Corp. has launched a nationwide pilot program to figure that out. Its program also aims to make sure poor children have enough to eat when they're not at school -- but takes a different approach. 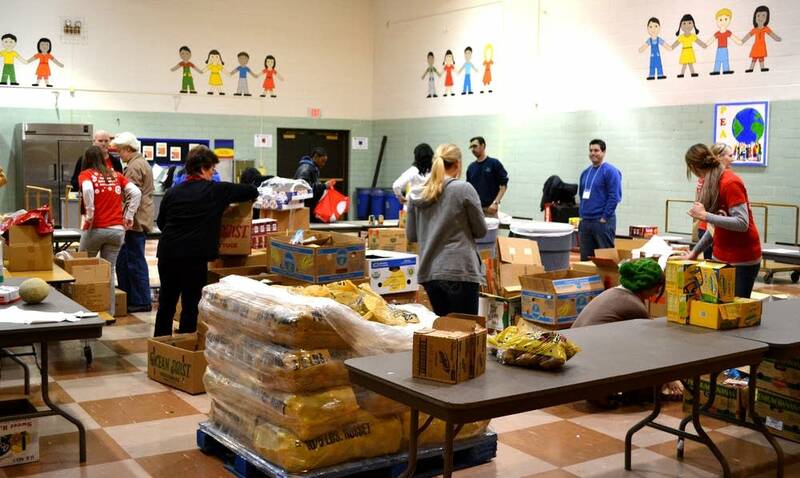 Target used $3 million to give 49 schools in 13 cities across the country money to start food pantries. Five of the schools are in the Twin Cities metro area. At each school, a food bank provides food that allows families to choose what they need -- usually enough for up to 20 meals. At one of the schools Target helps, Maxfield Magnet Elementary School in St. Paul, school leaders are combining food pantry night with a family dinner -- and nutrition classes. Principal Nancy Stachel said the program helps curb student anxiety as school breaks approach. "If you're feeling anxious or stressed out, you're not able to concentrate," Stachel said, adding that students are more secure when their basic needs are met. "You're able to be more relaxed, you're able to focus in on your learning, because you're not worried about where your next meal is coming from, or if there is going to be a next meal," she said. Both Target's food pantries and Rochester's backpack program plan to expand to more schools this coming year. Each is trying to make sure students can worry about math rather than their stomachs -- every day of the week.